Boynton Beach is a city in Palm Beach County, Florida. Despite the city's name it has no beachfront; it is located across the Intracoastal Waterway from the oceanfront municipalities of Ocean Ridge and Briny Breezes. First settled in 1894 by former Civil War major named Nathan Boynton. He was so impressed by the natural beauty of the area he built the Boynton Hotel. Boynton Beach was originally founded in 1898 as the Town of Boynton. The town was incorporated in 1920 and was first called "Boynton Beach" in 1931, not becoming the official name until 1941. Boynton Beach was originally a farming community with crops of pineapples, tomatoes, mangoes and citrus, but is now primarily residential. 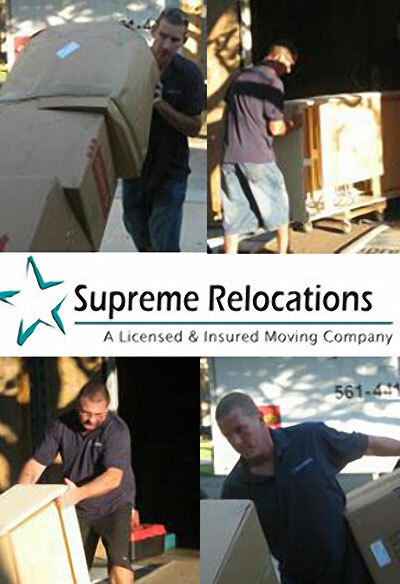 Boynton Beach Moving Company Supreme Relocation are fully insured and provide a host of services that will take care of everything you need to make your moving experience smooth and stress free. We specialize in local moves in addition to providing moving services to anywhere in the USA. Supreme Relocation is an Accredited Business with the Better Business Bureau and a founding member of the Palm Beach County MVP Program. We are proud to have established a reputation for quality and reliability. Whether your move is local and long distance, we look forward to taking care of your family and your belongings.